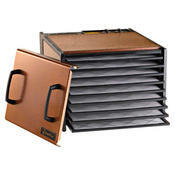 The Parallex Horizontal Airflow technology makes rotating of trays unnecessary. 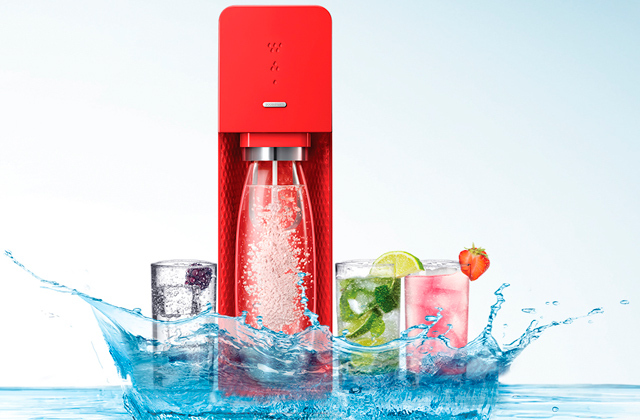 The even dehydration is achieved by even air distribution. So, there is no need to control the process. 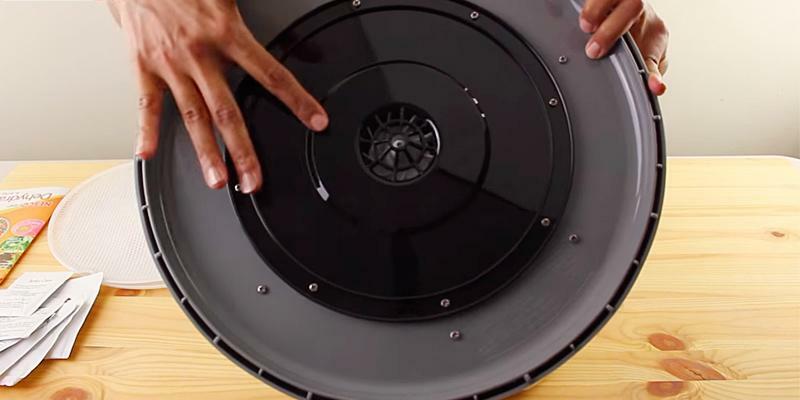 The fan of the Excalibur meat dehydrator might be slightly noisy during operation. 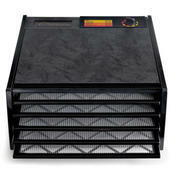 The Excalibur 3926TB food dehydrator is designed for a preparation of large amounts of food. You will find everything you need to dehydrate any type of food. And you can choose either white or black color to satisfy your needs. 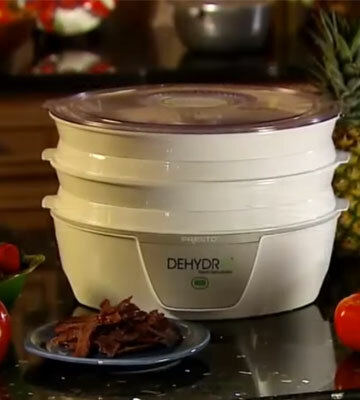 Definitely the best dehydrator. The Nesco FD-75A is an extremely high-performing food dehydrator, yet is so easy to operate that even a complete novice will manage. It includes a recipe book that will help if you've got no recipes of your own yet. 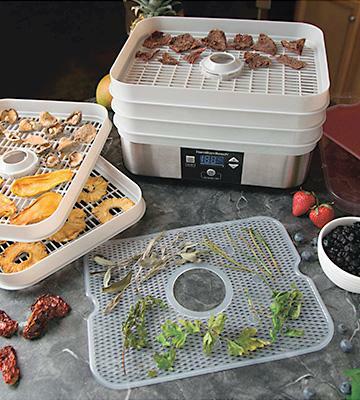 The Presto food dehydrator has a convenient design. It can be easily demounted and thoroughly washed. Also, it has a handy cord storage compartment. 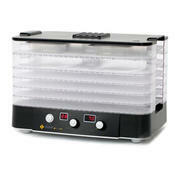 The food dryer is equipped with neither thermostat nor timer, the dehydration is completely manual. 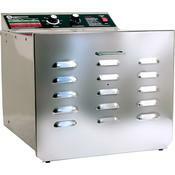 A food dryer with an excellent price/quality ratio. 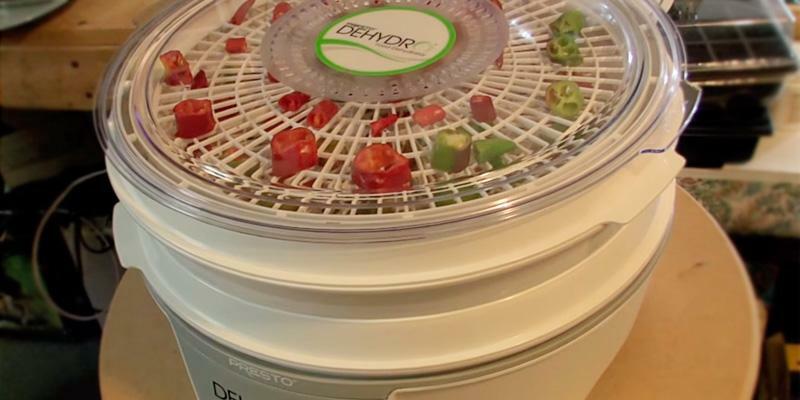 Presto dehydrator won't take much space and will allow you to dry various foods. And the manufacturer offers the variety of additional features for brand new dishes. A very quiet dehydrator compared to other models. 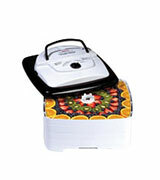 A compact body with air circulation will provide an even dehydration of your food. The holes in the trays are quite big. To load small food pieces you will need to purchase special mesh sheets. 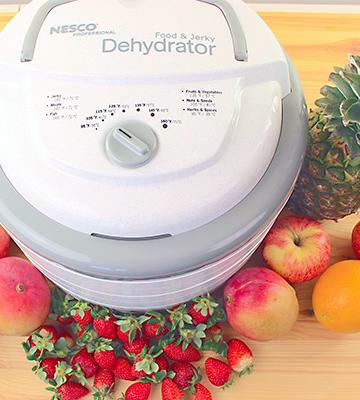 This model of Nesco fruit dehydrator is good for both novice and experienced users of food dryers. A perfect model for permanent use. A 48-hour timer with auto shut-off makes it possible for you to just set the needed drying time on an LCD screen and go do something else. 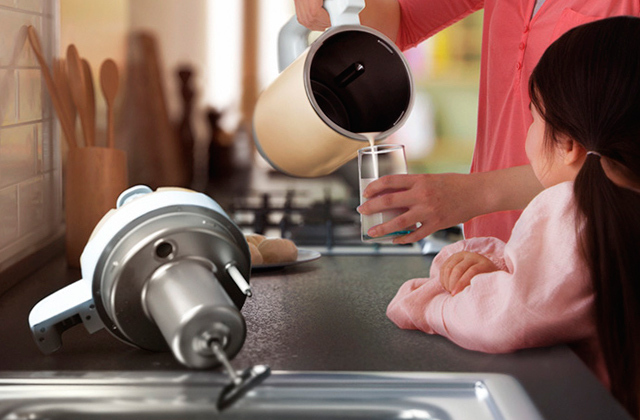 A convenient and functional gadget for a small family. 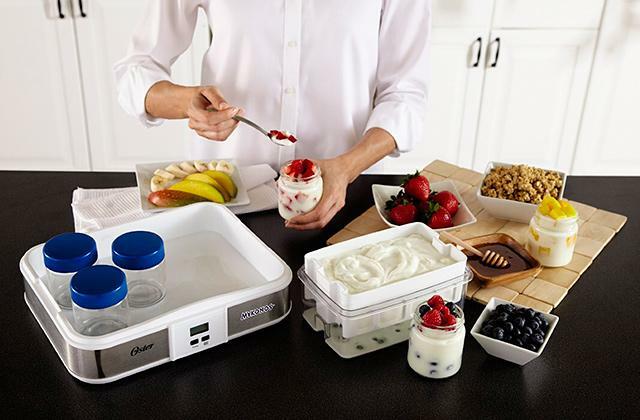 The Continuous airflow feature ensures even drying without turning the trays, and an adjustable thermostat will let you set the temperature for various foods. 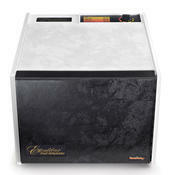 The Excalibur 3926TB is a convection-type food dehydrator with horizontal tray loading. It is rather big and designed to dry large amounts of food. 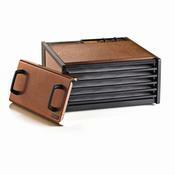 The trays of this meat dehydrator are completely BPA-free. Also, you can easily wash them after each use. 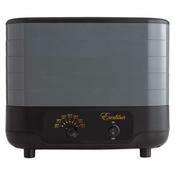 We would highly recommend this food dryer for large families, gardeners, sportsmen. It will be a truly invaluable purchase for anyone loving the healthy and tasty dried fruit, vegetables, meat, and fish. The Excalibur food dryer incorporates several features that enable it to deal with various foods with minimum effort on your part. 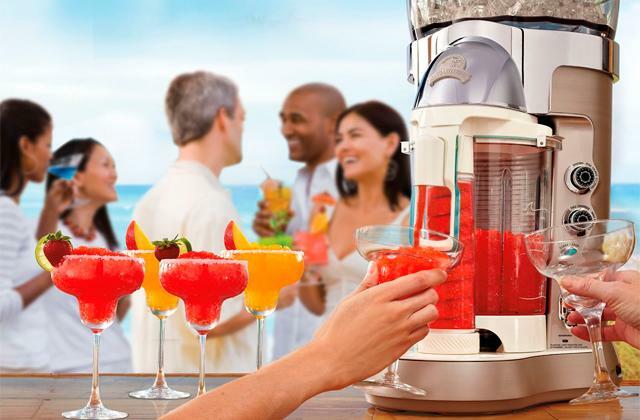 The power of 600 Watts is enough for quick and effective dehydration of various amounts and types of food. The nine 15" x 15" trays serve the same purpose. The fan and the heating element are at the back, but owing to the Parallex Horizontal Airflow, this meat dehydrator dries the food evenly. 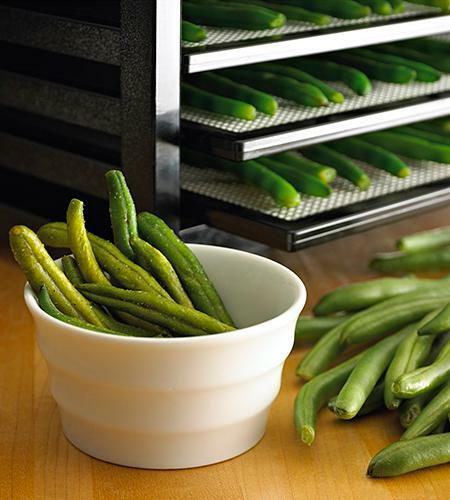 You do not need to rotate the trays like you'd have to do with most other dehydrators of this type. Fantastic! Also, ascribe here such a valuable addition to any cooking device as a thermostat. It will hold the temperature you have selected, so you will use next to no efforts to dry your fruit, veggies, meat, or fish for jerky. As for this parameter, Excalibur wins here as well, with its Hyperwave Fluctuation Technology. The use of this technology ensures that the food dryer will preserve all the healthy enzymes in your food. There is a temperature scale on the housing, near the thermostat, so you can select a necessary temperature mode for the type of food you want to dry. And with the Excalibur 3926TB, you will easily make the process even more automated by setting a timer (can be set for up to 26 hours). No need to monitor it, the Excalibur fruit dehydrator will do everything on its own! The timer and the wide range of temperature settings make this model worth the price. Seems very durable, easy to clean, the trays are easy to setup and use, as wellas, easy to cleanup. The timer is also nice, especially when you'd rather continue to sleep at 3am instead of get up and turn the dehydrator off. Controls were easy to use. The auto-shut off functionality is great. The Nesco FD-75A will help you dry almost any food you wish, from fruit and vegetables to meat, fish, and other. All that — at any weather and in any season. So, what do we see here? 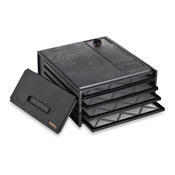 The FD-75A is really compact and is delivered with 5 trays in a pack. If you wish, you can buy 7 more trays separately, the dehydrator will operate just fine with 12 trays on it. 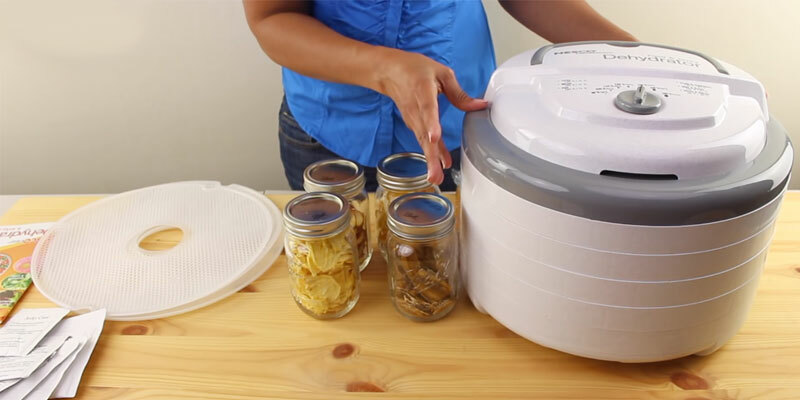 This way, you can cook more dried food in one go. The fan and the heater are located at the top, which means no liquids will get to them from the trays during food dehydration. This is important safety-wise. The trays themselves are round in shape and quite compact. You might want to switch their order during the process for exceptionally even dehydrating. At the top of the unit, you will find an adjustable thermostat with a temperature range from 95°F to 160°F. There are also indications regarding what temperatures are the best for the most popular foods to dry. With this, you won't need to go get the recipe book or surf the internet every time you dry something. Although there is no timer in this unit, you can set a regular alarm to notify you that the time has passed. 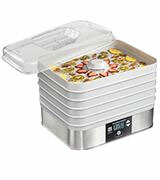 As for the material, the Nesco FD-75A food dehydrator is made of non-transparent BPA-free plastic that blocks the light and helps save all the healthy elements in your food. As you can see, the manufacturer has created the device for you to enjoy mouth-watering and healthy food without having to put a lot of effort. And if you have any troubles with this food dehydrator or questions regarding its use, you can always contact the company's Customer Service. Coverga-Flow air flow technology is pretty simple but really capable. The trays have holes in the middle and there are special channels at the sides for the hot air to flow down through all the trays and horizontally between them. 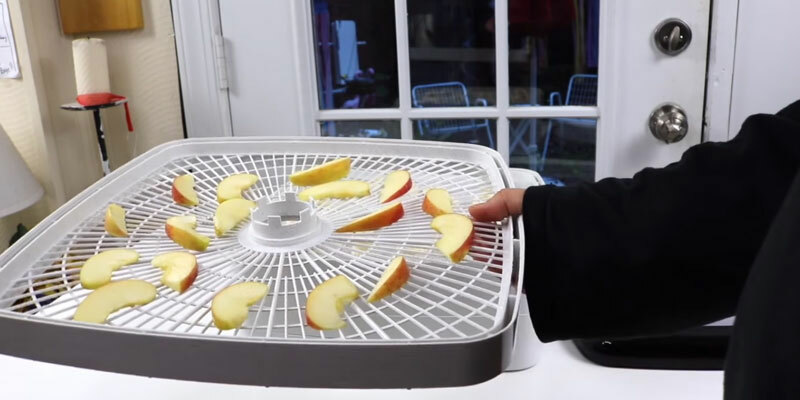 This unique system makes it possible to dry food faster and better, without mixing the flavors. And you don't need to rotate the trays. But still, note that the drying time still varies depending on what you dry, how much, how thick the pieces are and how much moisture they contain. 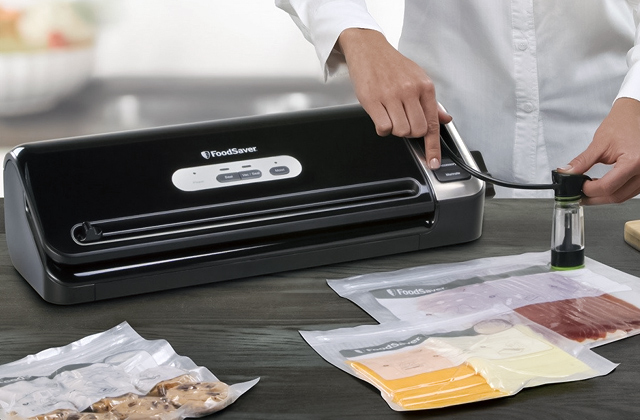 For your food to be fresh and delicious for longer periods of time, we suggest you also buy a vacuum sealer. This device is intended to completely remove the air from the package with food creating a vacuum, hence the name. Vacuumized food can be stored for a very long time. You can choose this device from here. The trays stack well but don't load too many as the bottom dries a lot slower. The racks are durable and well made. The thermostat is accurate. Recommend. The Presto 06300 is quite miniature. 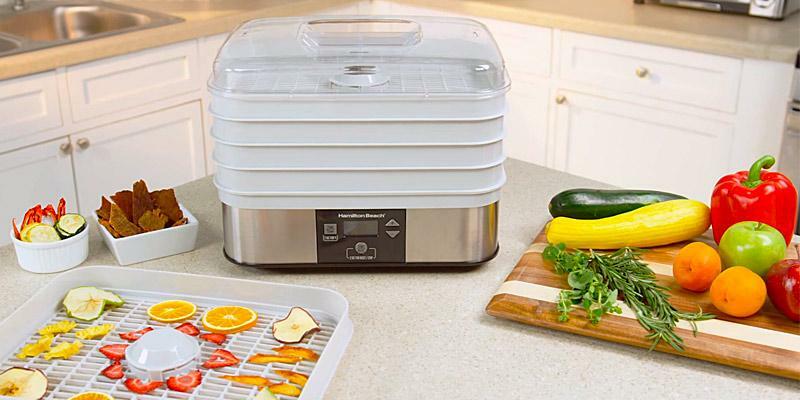 It can be called an entry-level food dehydrator. But it is still extremely good, and very much the most affordable dehydrating device on the market. The type of this food dryer is convection. The trays are loaded vertically, and the air blowing system consisting of the fan and the heating element is located at the bottom. The air circulates upward through the trays and through the food placed there, thus, drying them. There are 4 trays that come with the initial purchase, each is 14" in diameter. If you plan to prepare more food, you can always add more trays. 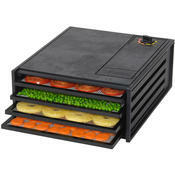 The device is able to handle up to 8 trays of food in one go. 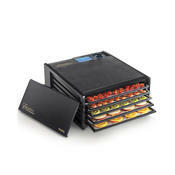 The additional trays for the Presto dehydrator can be purchased separately at any time (if you need them). The 600 Watts of power will make it easy for you to prepare several medium helpings of any dry food, be it fruits, vegetables, herbs and spices, fruit rolls and jerky. 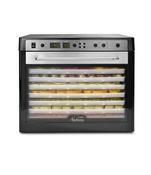 The transparent lid of the Presto 06300 meat dehydrator allows you to control the drying process. This feature is extremely useful as the food dryer does not have an embedded timer, and the entire operation is completely manual. 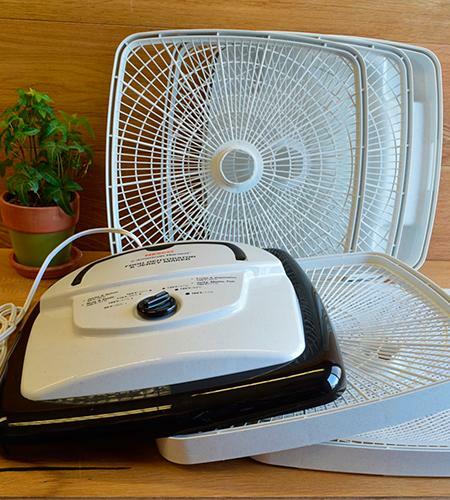 Aside from being extremely compact, this food dehydrator can also boast a very ergonomic solution in the form of a cord storage. You can wash the Presto trays in a dishwasher. Also, the manufacturer provides several various additions to this device which significantly simplify and expand its functional possibilities. 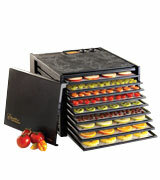 In the box with this fruit dehydrator, you will also find a recipe book. 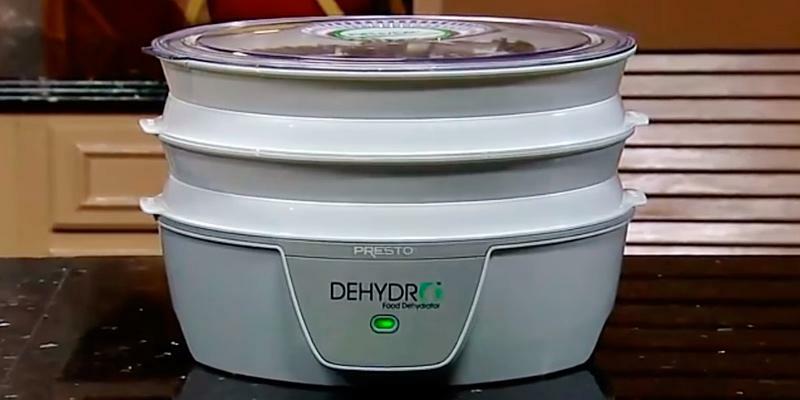 And maybe you'd like to know that it's possible to purchase the extended version of this Presto dehydrator, including 2 or 3 devices in one box. Excalibur 9 Tray 3926TB: 22 lbs. Presto 4 Tray Dehydro: 7.5 lbs. Hamilton Beach 32100A: 8 lbs. The trays were better made than the more expensive one I had! Used it and it only took about 4 hours to make jerky! Although it doesn't have a thermostat or timer for the money an excellent buy. 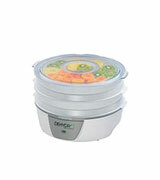 The Nesco FD-80A can be considered as a hybrid model of food drier. 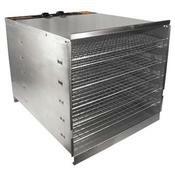 Usually, the square food dehydrators have a horizontal tray loading and horizontal air blowing. However, this one is an exception, it is a convection-type food dryer of a square shape, but the trays are loaded vertically and the air is blown from the top down. 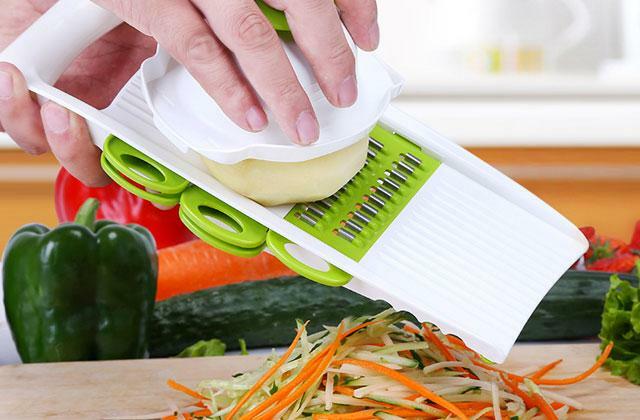 This device is pretty compact in size and takes up almost no space in your kitchen. 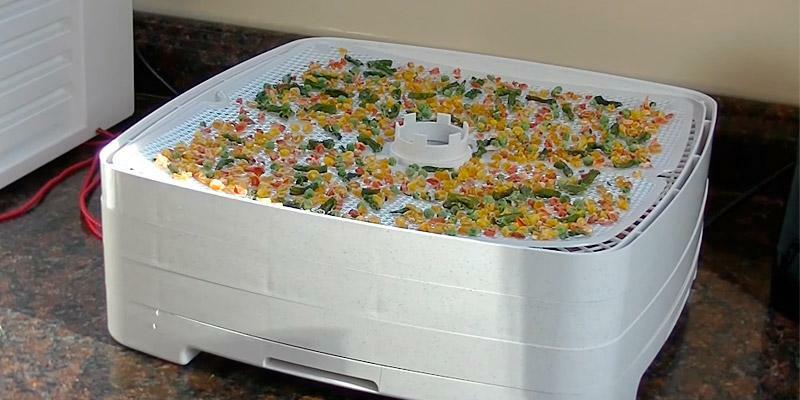 The trays are 14.5" x 14.5", there are 4 of them purchased with the fruit dehydrator. To dry more food, you can purchase additional trays as the meat dehydrator is designed to store up to 8 of them, doubling the capacity. Owing to the 700-Watt power and the Converga-Flow® drying system, the drying of fruit rolls, jerky, meat, fish, and fruit will be very fast. The Nesco FD-80A food dehydrator does have such a valuable device as a thermostat. The thermostat can set the temperature in a range from 95°F to 160°F, so you are able to choose the best temperature for each of the dishes you are cooking at the moment, keeping all the useful healthy elements. The Nesco FD-80A is an extremely compact and easy-to-disassemble device. And you won't need to bother with washing the trays after preparing the food — just put them in a dishwasher and they'll be okay. Moreover, they do not contain any elements that can be harmful to your health. 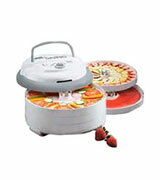 Together with this food dehydrator, you will also receive a recipe book. Also, a wide assortment of additional components is provided by the manufacturer. Just imagine, you can additionally purchase Nesco Trays, Nesco Fruit Roll-Up Sheets, and even Nesco American Harvest Jumbo Jerky Works Kit. Fantastic! Really like that it has a temperature control. The trays are a bit large for the dishwasher but I did make them fit. I love this unit and would definitely recommend it. 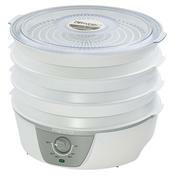 The Hamilton Beach 32100A food dehydrator is often the choice of people who care about their health. Why so? Well, it is created to dry quite a number of foods, from greens, veggies, and fruit to jerky. It is also perfectly capable of preparing raw breads, paste, yogurt, and even of proofing dough. The Hamilton Beach 32100A has 5 trays, making it a perfect device for a small family in no need for loads of dried food. 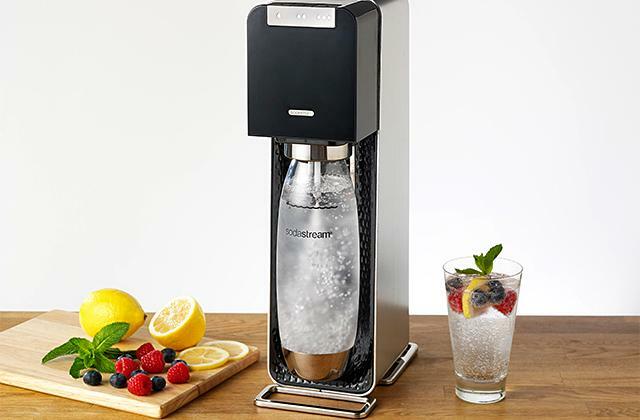 The lid and all the trays are made of durable BPA-free plastic, and the main body is stainless steel. There is a fan, a thermostat (100°F–160°F), a 48-hour timer. The power here is 500 Watts. It's all pretty simple, in the end: you just put your sliced foods on trays, turn on the dehydrator, set time and temperature, and go take your time doing anything else. No need to track time, the Hamilton Beach 32100A will do it for you. 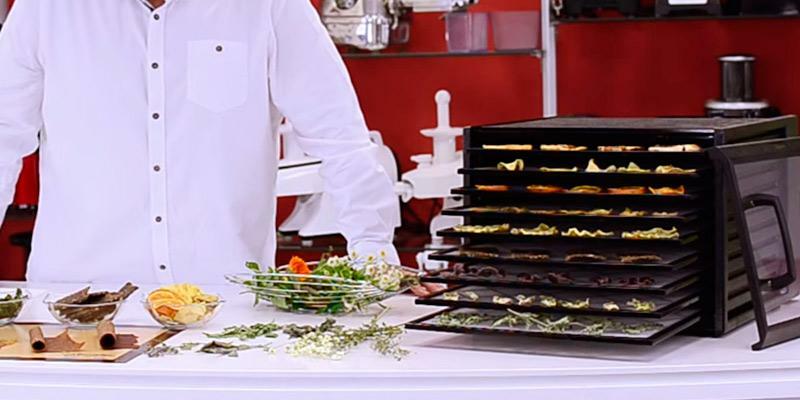 Entrust your food drying to a pro! The Hamilton Beach Manufacturing Company was founded at the beginning of 20th century when two extremely talented engineers L.H. Hamilton and Chester Beach created an innovative lightweight motor that worked from the mains. This gave a push to the first ever mixer in 1911. From that time and still, the company is on the roll. In the 1930-s, their assortment included mincing machines, blenders, juicers, coffee machines, ice shavers, dehydrators, toasters, and many more. 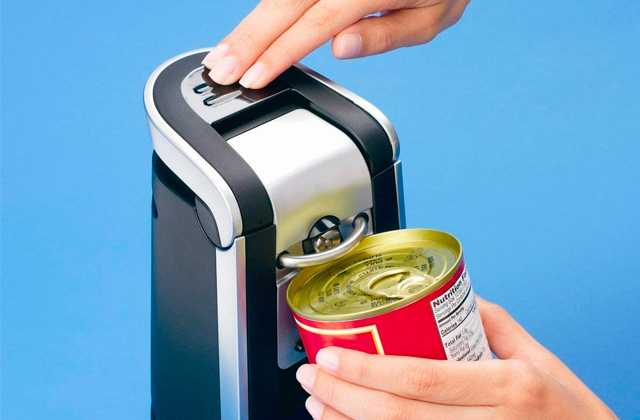 The 1970-s presented humanity with the first blender featuring a microprocessor control. Over more than a hundred years of history, Hamilton Beach never stopped its development, creating new ideas and developing new technologies non-stop. And it paid back with recognition. 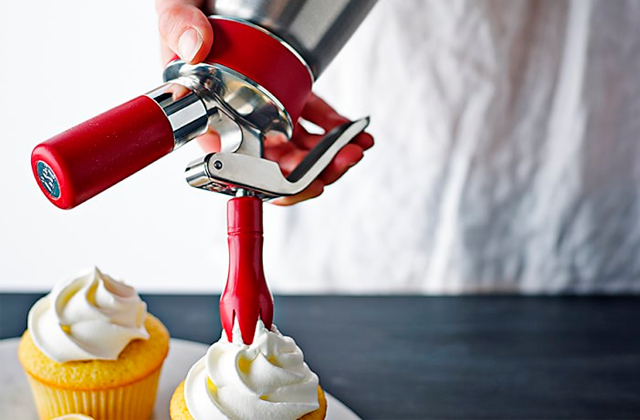 Hamilton Beach today is the manufacturer of ergonomic and stylish kitchenware known and respected worldwide. They provide everything necessary for restaurants, bars, and of course your home. 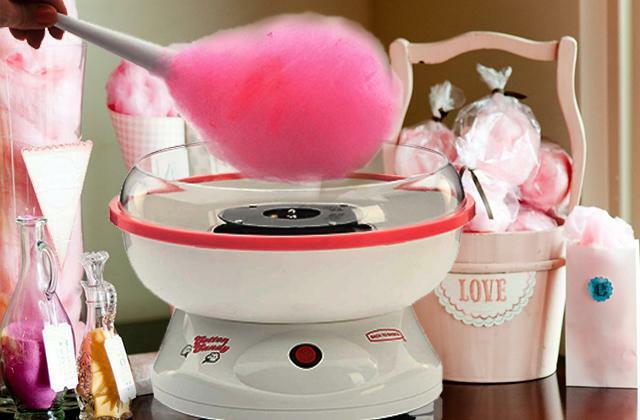 With the variety of home appliances this company offers, there will be no end to the choice of dishes. 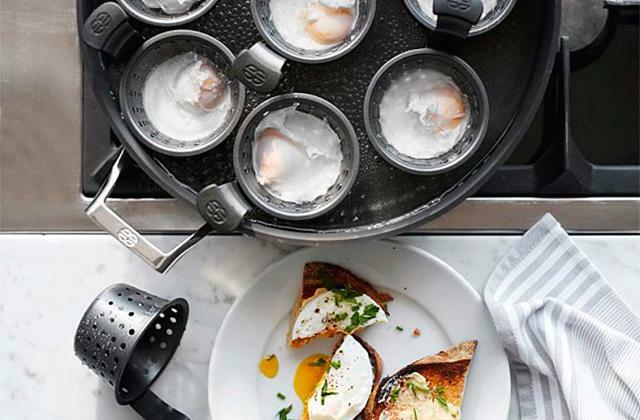 As a token of gratitude for its customers, Hamilton Beach is out there to answer your questions 24/7. You can follow the company news on Facebook, Twitter, YouTube, and Pinterest. Or you can contact them using a Contact Us form at the official site. 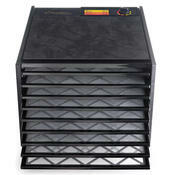 To make the dehydrator use as comfortable as possible, we recommend you to buy non-stick dehydrator sheets. Yogurts, rollups, taffies, and crackers will be a breeze to make. It has an auto shut off function which wasn't on our old "on/off" dehydrator. Settings are easy to adjust and provide lots of flexibility. It's a nice design, and fits more food than most of this size. The thermostat helps avoid surprises, and the timer helps avoid forgetting to watch the device. 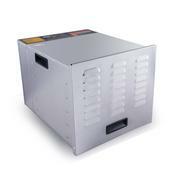 Food dehydrators are created for drying food while retaining all nutrients and vitamins. The operation of a Food Dehydrator is pretty simple: the device forces circulation of hot air and this air dries your food. Dried food does not rot and, consequently, can be stored for a long time. At the same time, the food dryer does not eliminate healthsome and beneficial elements from your food. The only thing you need to do is chop the meat or fruit and place the pieces on the trays. An adjustable thermostat creates and maintains a sufficient temperature, and the engine provides constant air flow for inside circulation. 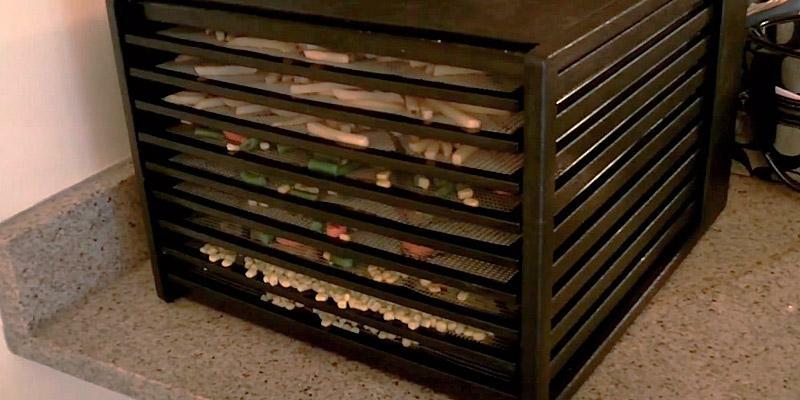 A food dryer will assist you in storing seasonal food with all the vitamins preserved. It is an excellent addition to any kitchen where healthy food is valued. Other items those interested in healthy food might find a good purchase are yogurt maker and juicer. When deciding on a food dryer, firstly, look at its type and shape. These are very important features. 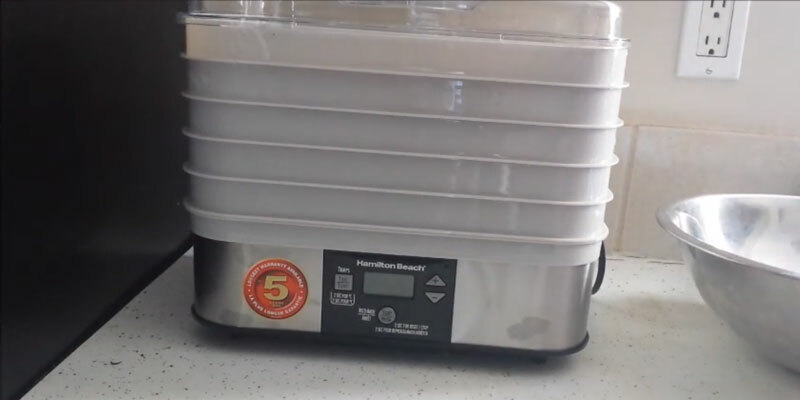 The type of a dehydrator can be either convection or infrared. Convection-type food dehydrators use a heating element with a fan that moves the air inside the housing. They are more popular than infrared ones which use infrared rays to heat up the fruit surface, thus evaporating the moisture. As for the shape, the food dryers can be round (oval shape is possible, but rare) with the trays one on top of the other over the heating element, and square that look like drawers with the trays on the rails. Both types have their pros and cons. The round ones take less space, almost as little as your average cooking pot, but you may need to rearrange the trays from time to time for more even drying. The square ones don't require that, but instead, to dry equally on different ends of the tray, you may need to rotate the trays. Also, these models can be somewhat bulky. The next important criteria while choosing a food dryer should be the performance and intended use. The performance is affected by several key characteristics like the dehydrator's power, the availability of a thermostat, the size and number of trays, which affects the capacity, and the types of food you will be able to dry. 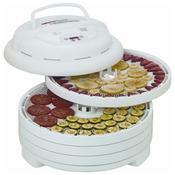 The power of your food dehydrator directly affects the type and amount of food you are going to dry. If you wish to load a lot of fruit, meat, fish, etc. 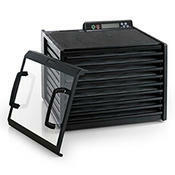 then 1000 Watts or more will be a suitable power for your dehydrator. 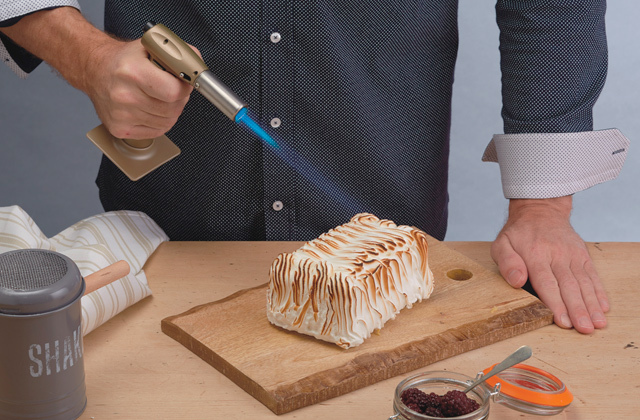 For small supplies, the 250-Watt device will be more than enough. 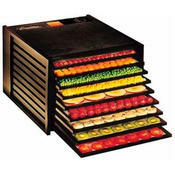 For the moderate price, you will mostly find fruit dehydrators of 700–800 Watts. They are quite okay for drying fruit and vegetables. For those who would like to dry meat or fish, we would recommend purchasing more powerful devices, although they cost slightly more. We also attribute here important control functions like a temperature range and the built-in adjustable thermostat. 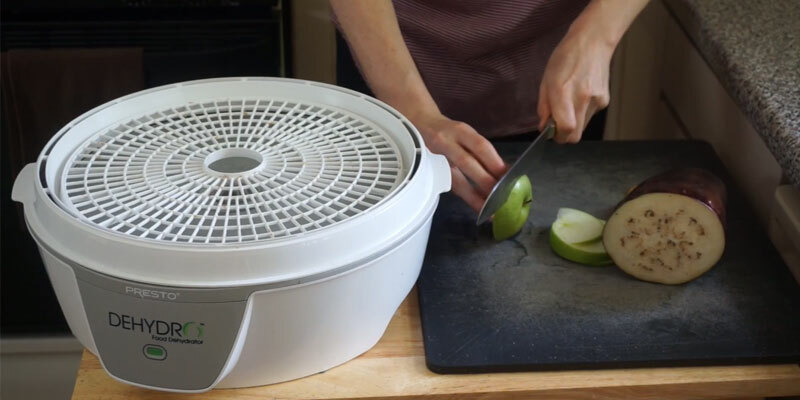 As a rule, the simplest fruit dehydrators only have the ON/OFF switch, which might be inconvenient as different vegetables and fruit require different temperature modes. 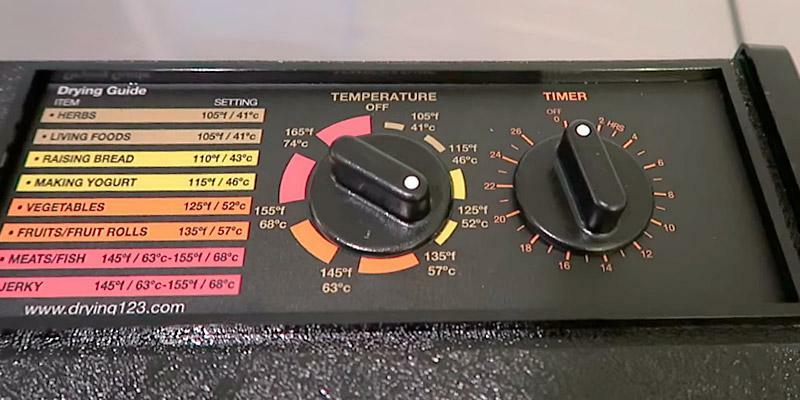 The best would be to have 2–3 modes of dehydrator temperature (at least 104°F and 160–170°F). The lower temperature is good for drying herbs and berries, curing fruits whereas the higher temperatures are perfect for drying most fruit and vegetables. Most state-of-the-art models with electronic control allow maintaining the heating at a precise temperature. And finally, look at the size and the number of trays. 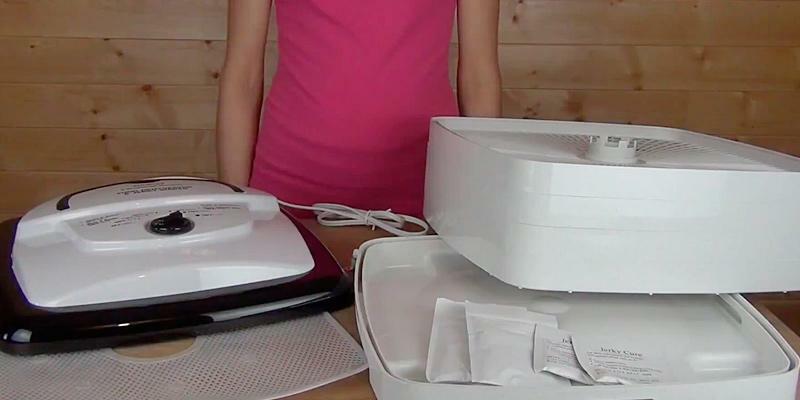 This number will tell you exactly how much food you'd be able to dry in one go. In some models, you can add trays and dry more fruit or meat simultaneously. Finally, look at the food dryer's convenience. For example, the timer might be a very useful feature. Sometimes the drying process can last for a whole day, or even more. If your meat dehydrator has a timer, you just need to set the turn-off time, and freely go to work or fall asleep. You wouldn't need to fear that your food will overdry and become too hard or coarse. Alos, find out if it is easy to clean the device after each use, what material it is made of, what options it's got to simplify the operation (for example, an opportunity to monitor the process), and whether the device is noisy or not. The user-friendly interface is also very important. 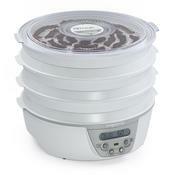 We hope our review will be of help to you in the process of selecting your food dehydrator. 1. 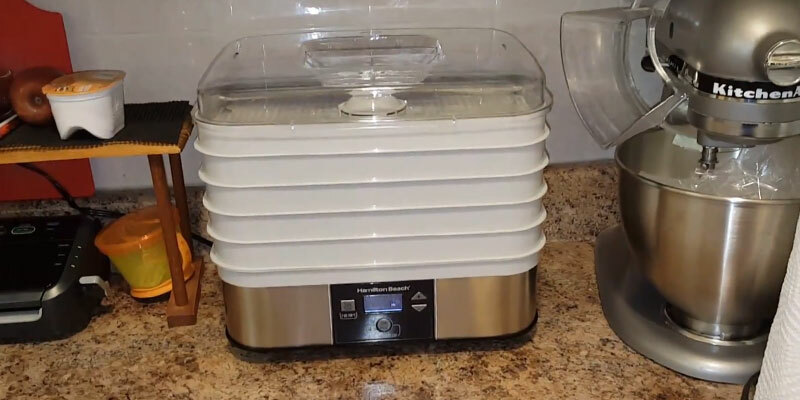 Good Questions: How do I choose a dehydrator? Nourished Kitchen. July 25, 2014. 2. Emily Church Choosing a Food Dehydrator, Everything Kitchens. 3. 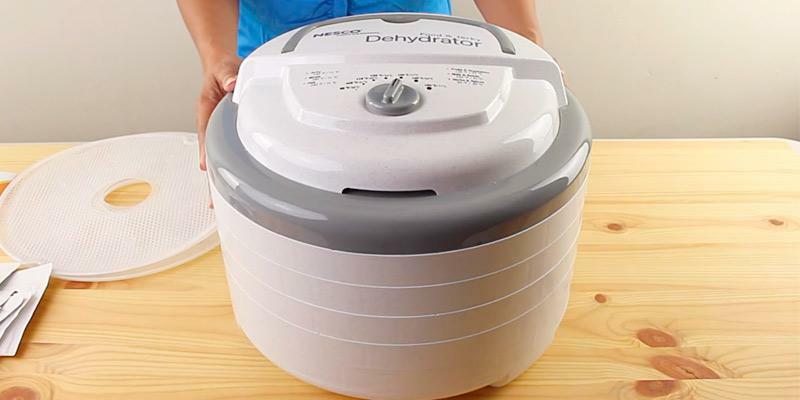 Kristen Hicks How to Choose the Best Food Dehydrator [Buyer’s Guide], Compact Appliance. 4. Choose A Good Food Dehydrator [Infographic], Visually.